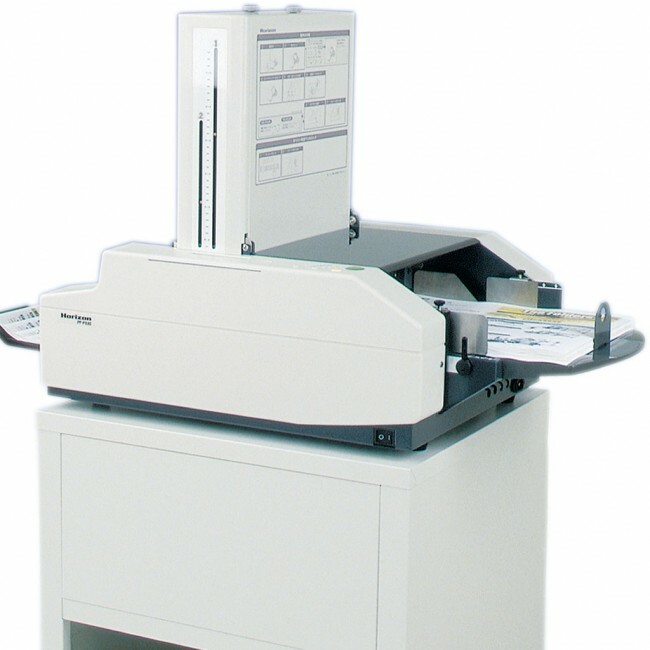 MBM 93M - Roberts Business Machines, Inc. 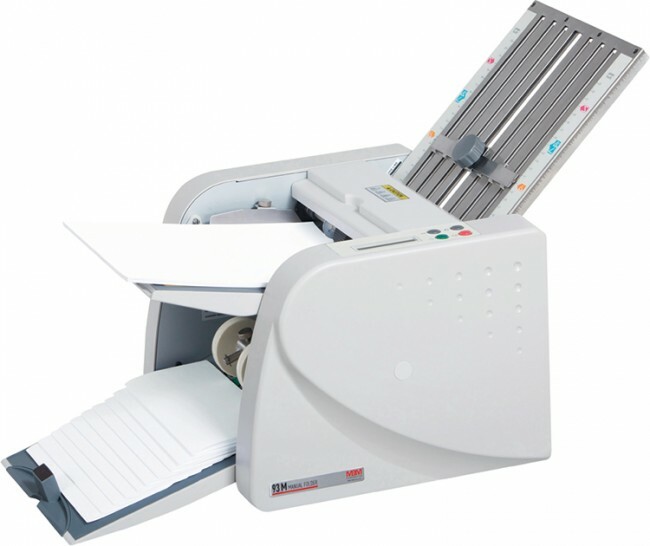 The 93M manual tabletop folder has a compact size (feed table and exit tray fold in for storage). Simple, push-button operation. Digital control panel. Programmable counter with batch and total functions. 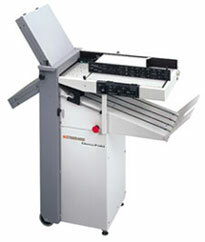 Color-coded fold plate graphics for quick and easy set-up. Powered exit conveyor. Exit tray extension for neat stacking of folded sheets. 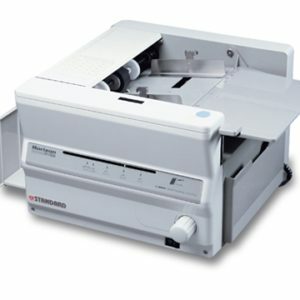 Automatic stop when last sheet is folded. UL and C UL approved. 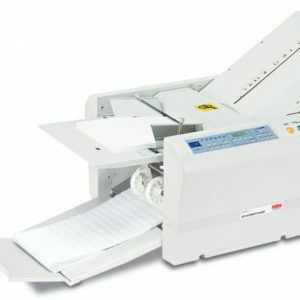 Speed: up to 7,200 sheets/hr.